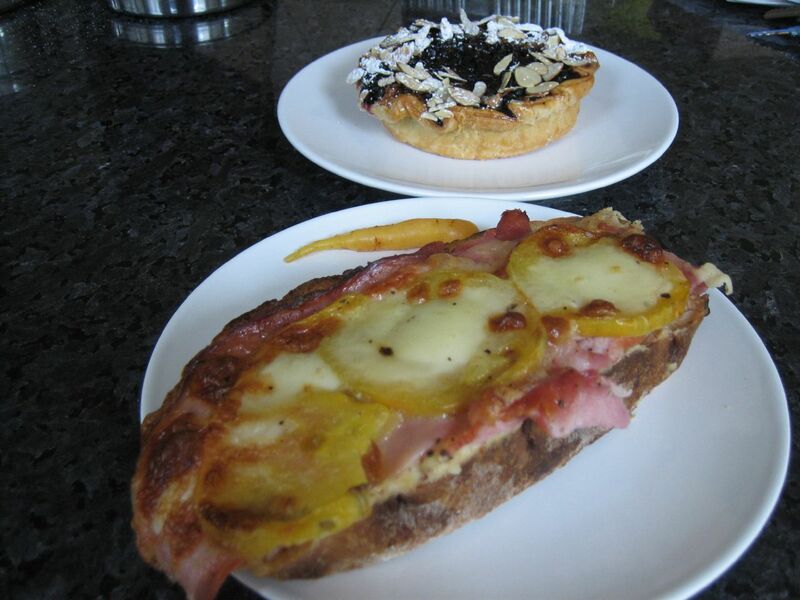 Tartine for lunch - Three Cheese Tasting Sandwich, Frangipan Tart, Ham and Tomato Croque Monsieur. 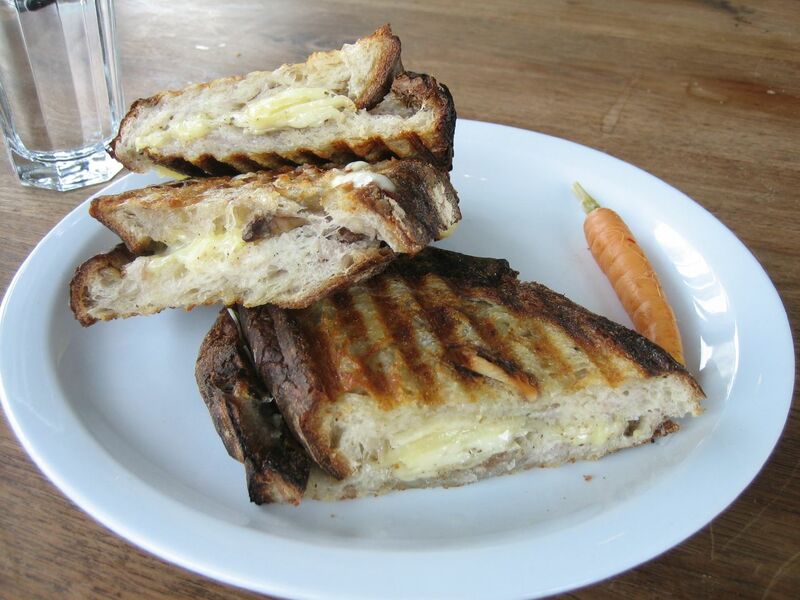 The three cheese tasting sandwich had Bellwether Farms Jersey Carmody, Straus Cheddar and Idiazabal a truly decadent grilled cheese sandwich on crunchy well charred and pressed walnut bread with enough butter to taste, but not so much as to make it greasy. 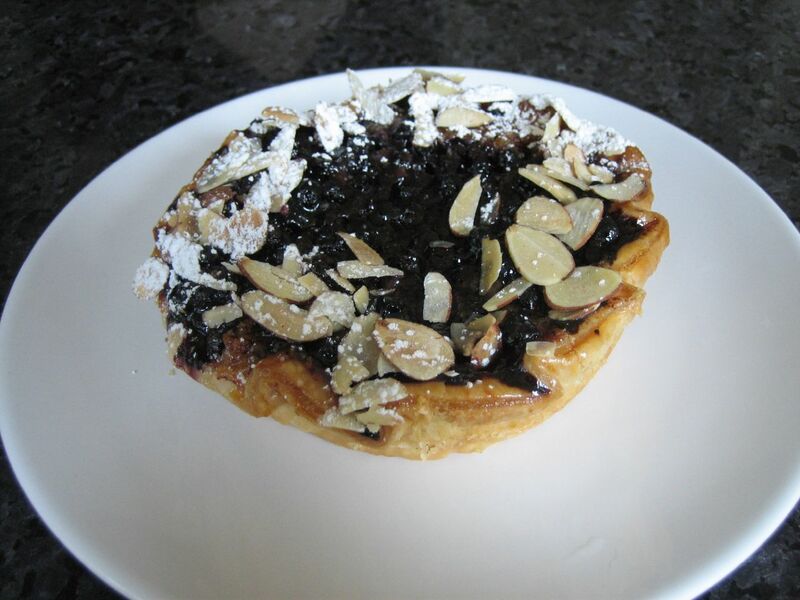 The tart had currants on it which was a nice sweet tart note to the almond paste. 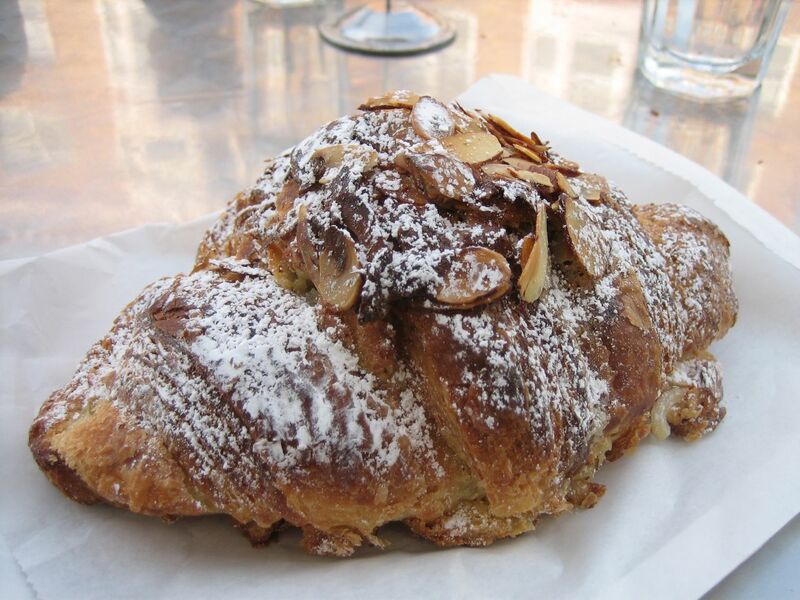 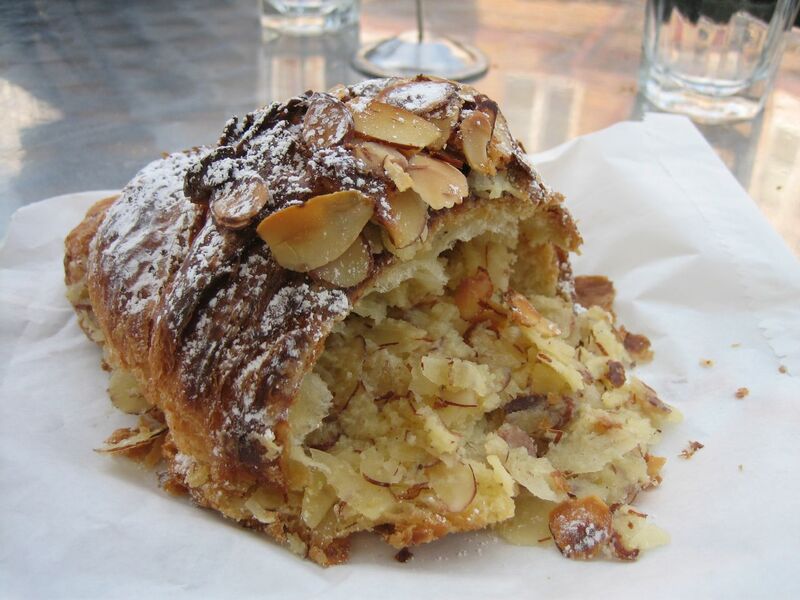 Frangipan Croissant chock full of sliced almonds and almond paste.